1. Why has our field emerged as a site in which to re-examine academic freedom? 2. How might our field’s re-examination of academic freedom benefit academia as a whole and inform relevant debates extending beyond academia? By virtue of its subject matter as constructed over its history, medieval studies has a legacy of fortifying structural racism and other engines to silence the marginalized. Throughout the development of humanities curricula, the contributions of medieval disciplines have often undergirded white supremacy. Many historical fields and disciplines chose at earlier moments to re-examine their canons (sometimes participating in what we know as the “culture wars”). Medieval studies — despite the intervention of earlier critics who always wanted to see it become more open — continued for much of its past to provide justification for white Western anchors to narratives of literary, historical, and cultural greatness. Even when we studied non-Western objects and histories as medievalists, we tended to presuppose the primacy of whiteness in our modes of thought and analysis, too often unchallenged, in the field’s history, by engagement with critical discourses questioning that presupposition. And as with all white supremacist projects, that supremacy hid itself in plain sight, shaping not only the field’s content but also, for non-white and white scholars alike, its professional culture, normalizing imbalances in access to visibility and voice. As we increasingly call out – in all spheres of our lives – the realities of structural racism and other bias, medieval studies has experienced dramatic friction. Some medievalists are recognizing, or finally finding the voice to say, that the systemic bias on which the field has historically depended is one reason why we have never all participated in it freely or equally. Other medievalists corner themselves into denying the existence of systemic bias, or feigning incomprehension of it, in order to defend a curricular, research, and professional culture to which they are attached. The picture has appeared grim and oppressive at times, but in this landscape exciting renewal becomes possible. Our old field, that is, holds the potential to be a young field. Many historical and literary disciplines underwent restructuring at earlier moments, but if medieval studies does so now, it will have a unique opportunity. Retrograde notions (outmoded free speech absolutism, the tenacious scourge of gender bias) that inflected and limited earlier field-changing initiatives might not hamper us in the same ways. Our discipline can make itself anew at a moment when the culture is acknowledging on a large scale, according to William Davies, that what the right hears as censorship is the sound of voices not previously permitted to speak. Thinking of our field as young encourages us as well to acknowledge the crucial role that the young play in it. Davies notes that the right critiques a “snowflake” generation’s refusal to platform hate and racism in order to blame this generation for their own precarity, calling them entitled, unprepared for adversity and challenge. But it is the younger generation of medievalists, many of whom are still graduate students, on the job market, or in the most precarious positions, taking the greatest risks and making the deepest sacrifices to change the field. Medieval studies is the future because our field is old enough to be young. Let us then take up the charge of its brave early-career members. They remind us that enduring patterns of harassment and racism make academic freedom a mere myth for some; they assert that positions of misogyny, ethnonationalism, xenophobia, homo- and transphobia, and other biases are not legitimate positions in any conversation because they make freedom for all within the conversation impossible. Let our old field be the ideal home for those recognitions, one that rejuvenates their force. 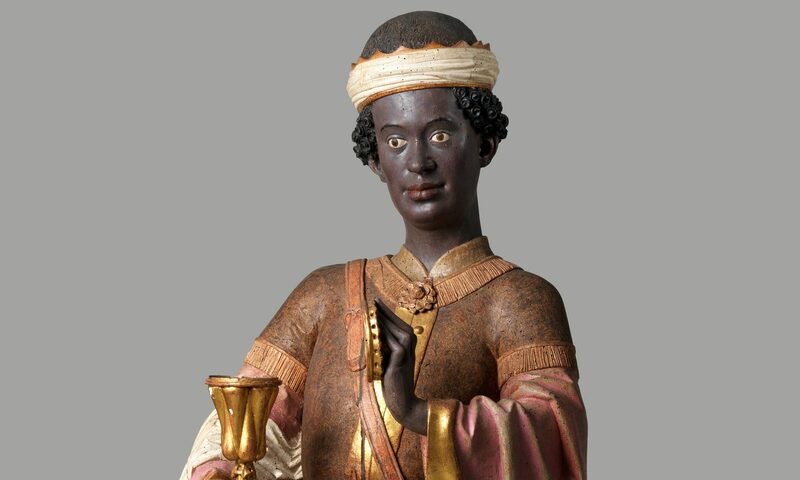 Added 8/1 — this page offers a useful opportunity to link to the bibliographies on race and medieval studies linked to elsewhere on this site as well.